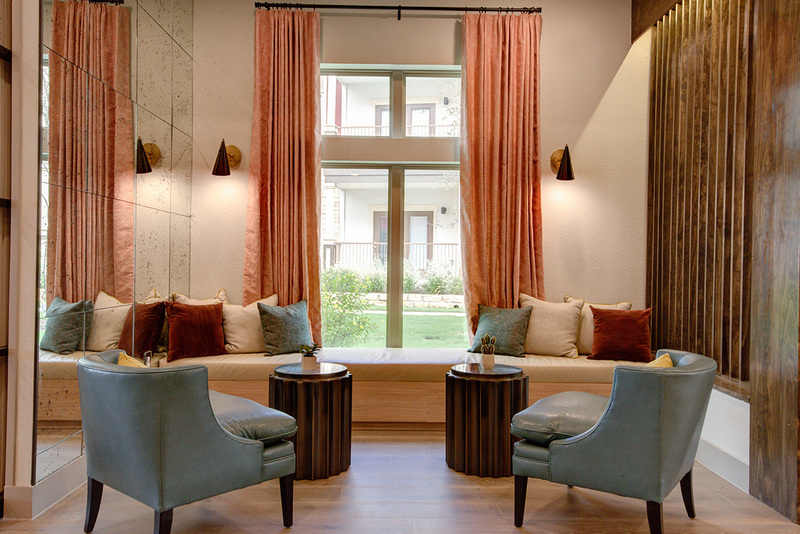 The Park at Crystal Falls Clubhouse Is located in Leander, Texas approximately 30 minutes outside of Austin. 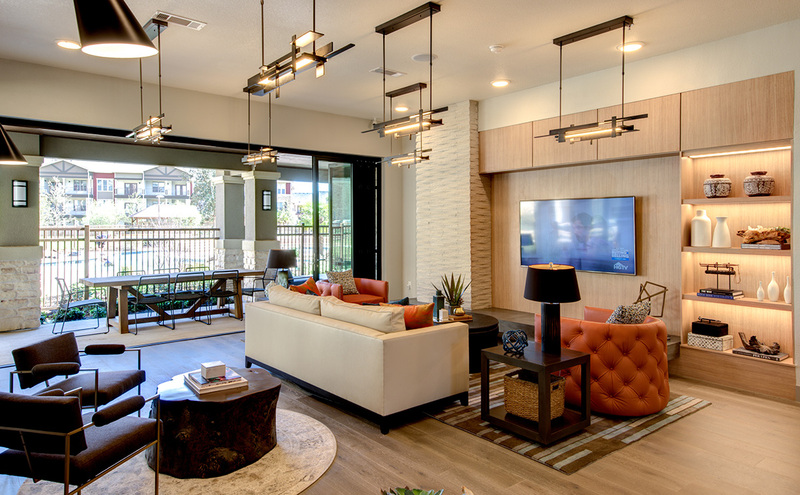 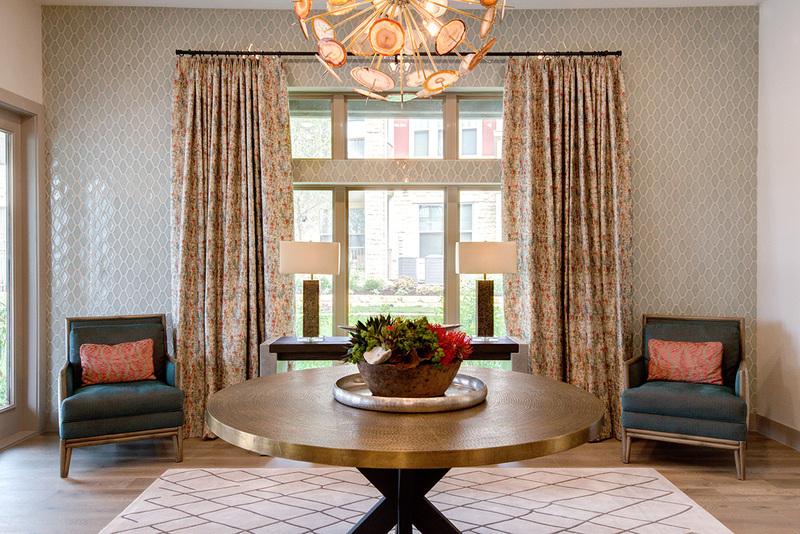 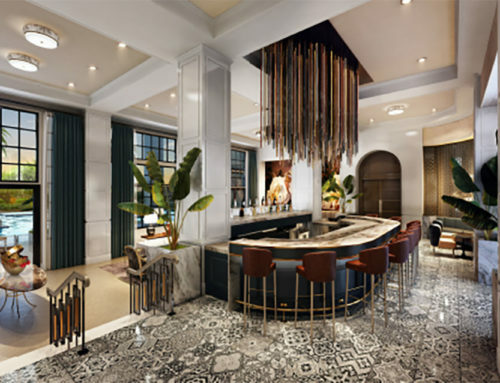 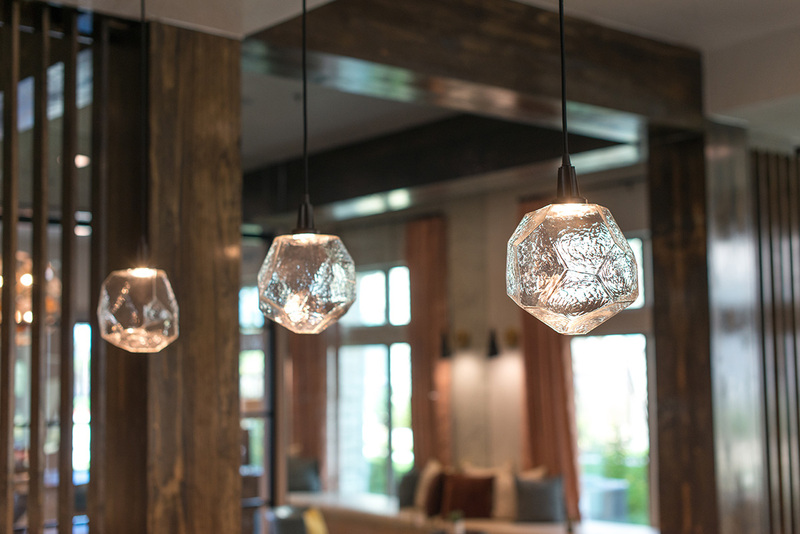 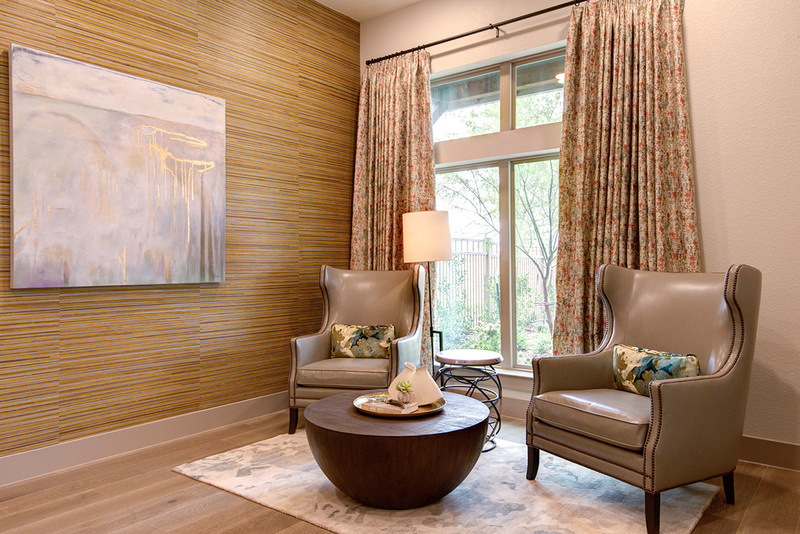 Crystal Falls was designed with the intent of bringing tenants together and providing a luxury amenity where comfort can be found and enjoyed alongside ones’ neighbors. 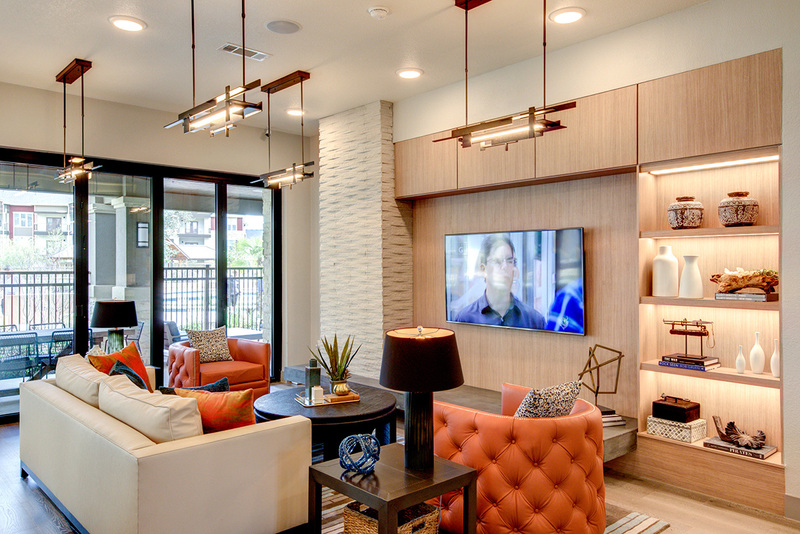 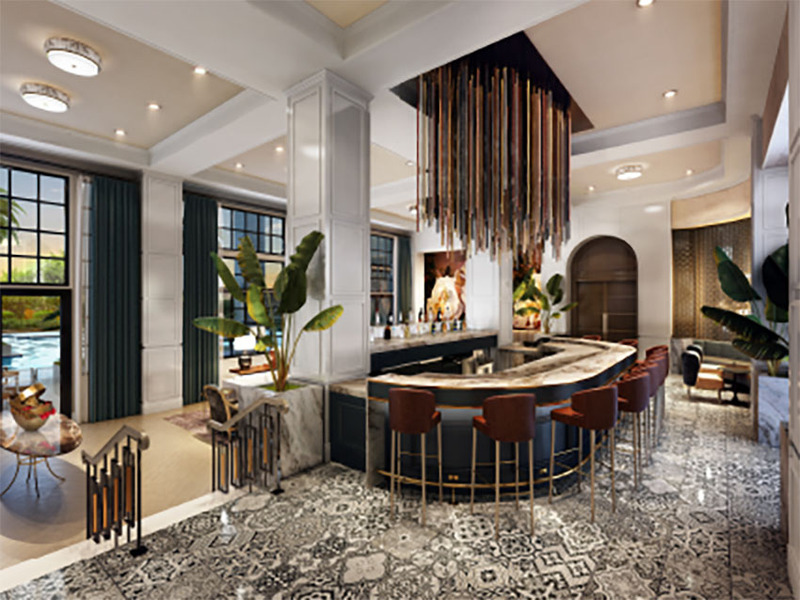 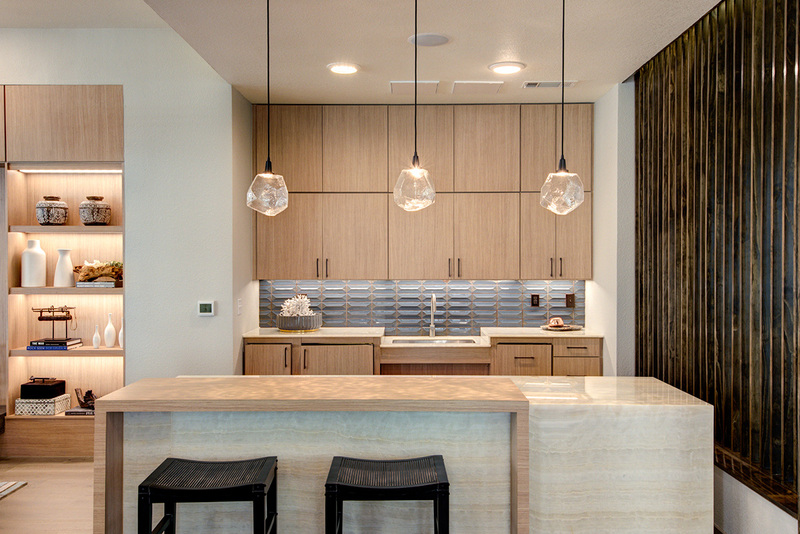 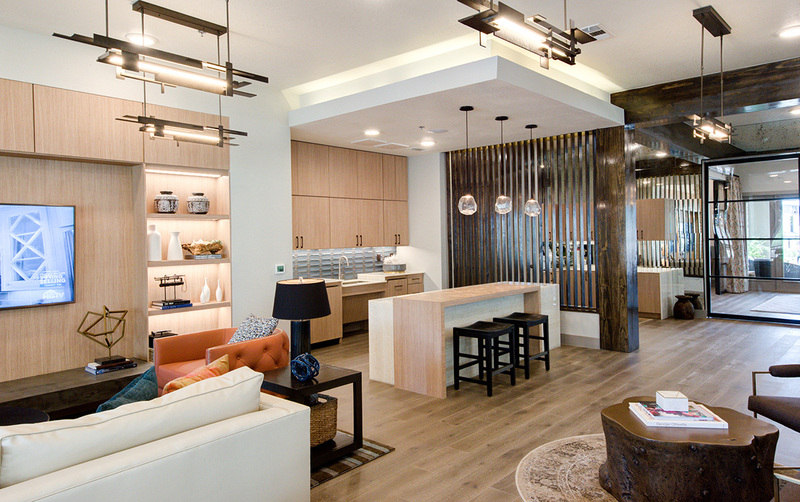 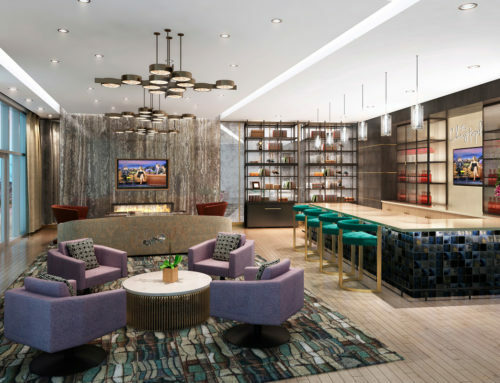 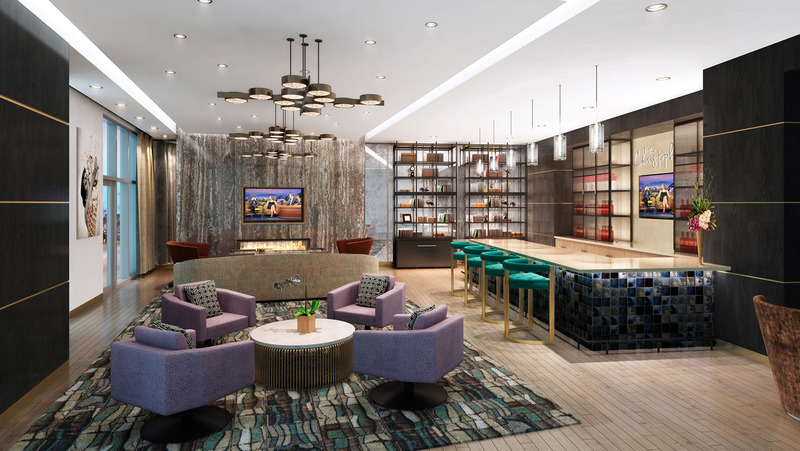 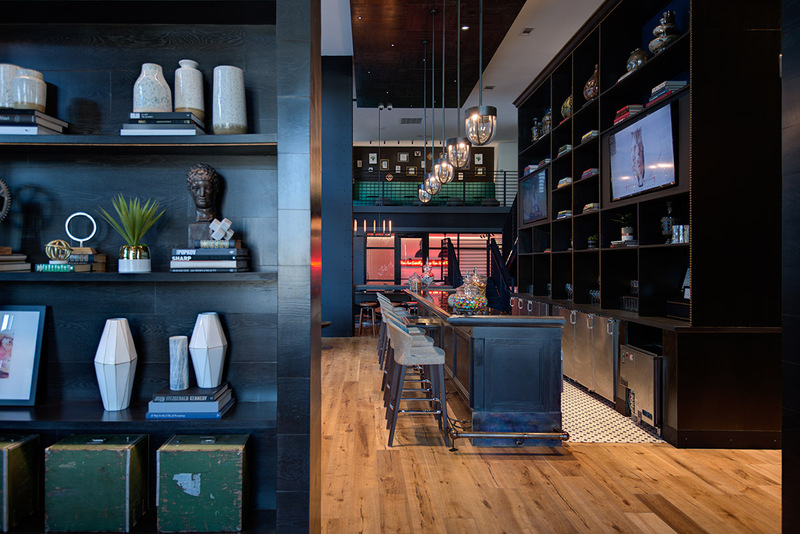 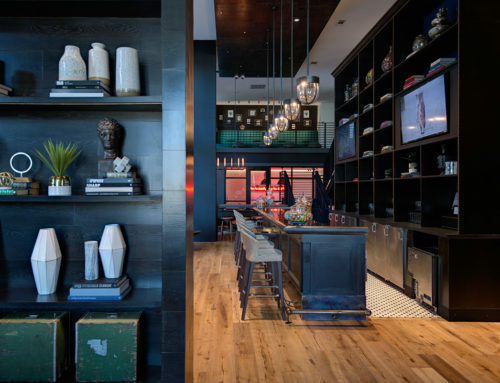 With multiple functions including a kitchen, leasing office, reading nooks and the favorite “living room” lounge, big-screen included, I+O was challenged to use sustainable and durable materials with the look and feel of extravagant living. 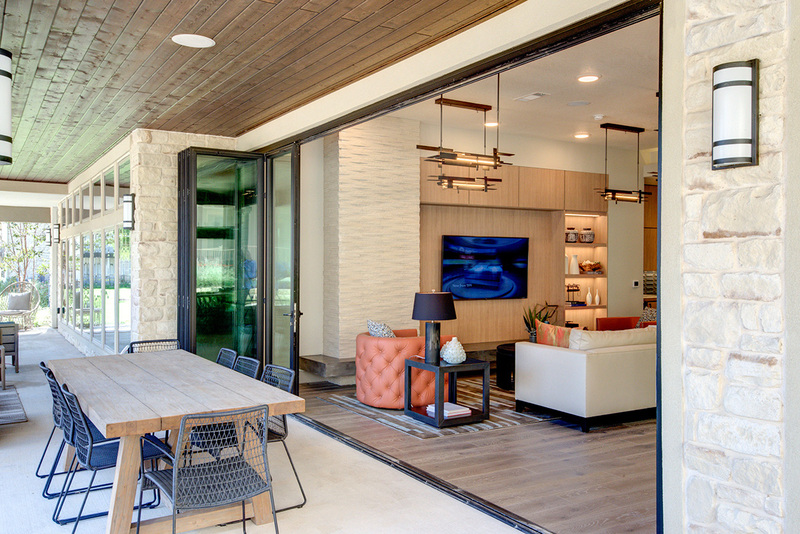 Hand-scraped wood floors and real wood beams fit perfectly against the rural Texas Landscape and it’s the glazed Ann Sacks tile backsplash and custom colored Kinon Resin panels that give a rich and vivid ambiance to the space. 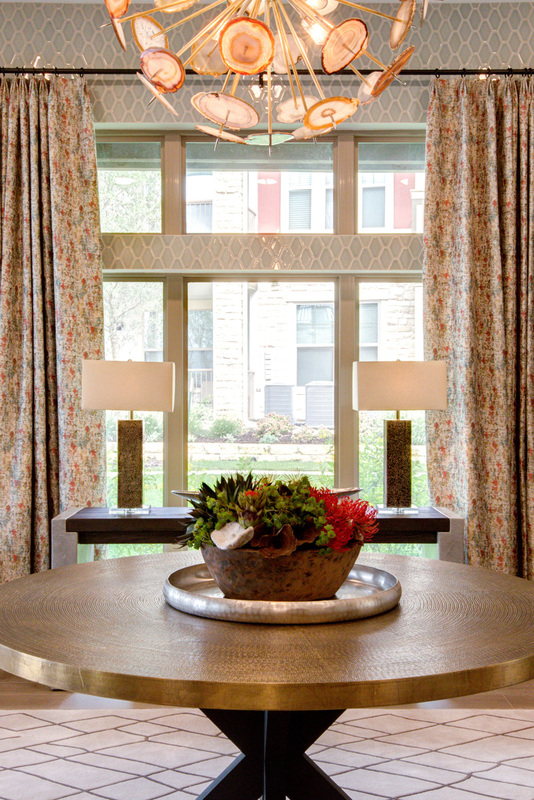 The plush fabrics and warm stone throughout take this Hill county Interior to the next level and connect beautifully with the Oasis style pool just outside. 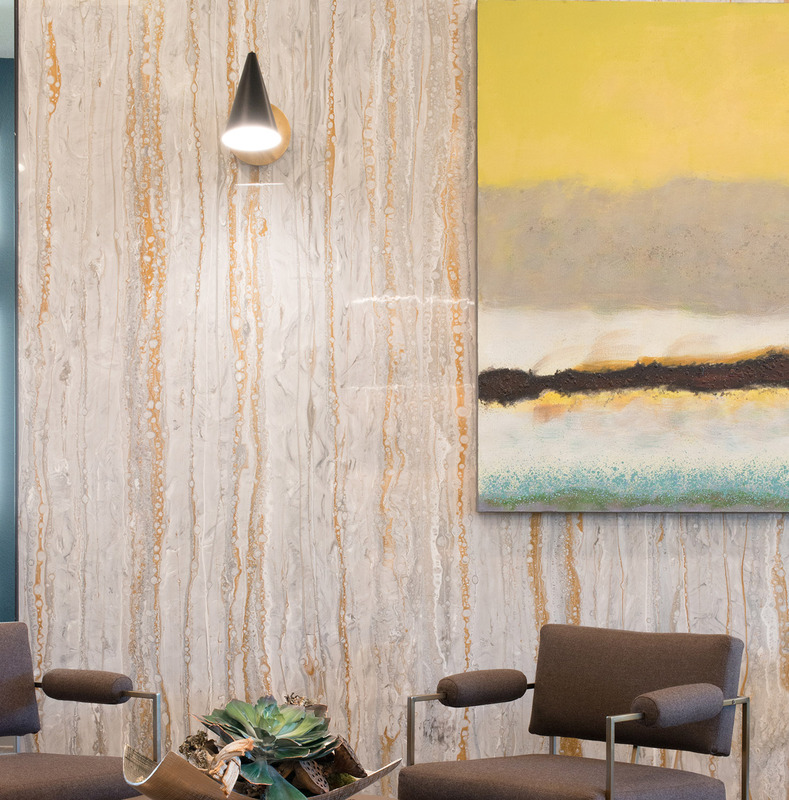 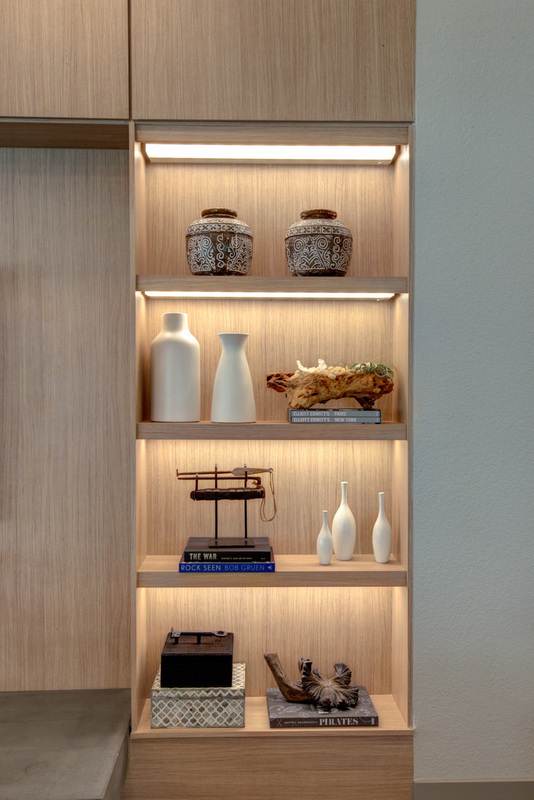 I+O curated this beautiful feature wall from Kinon Panels—Kinon can be better described as “crafted art sheets for luxury surfaces”. 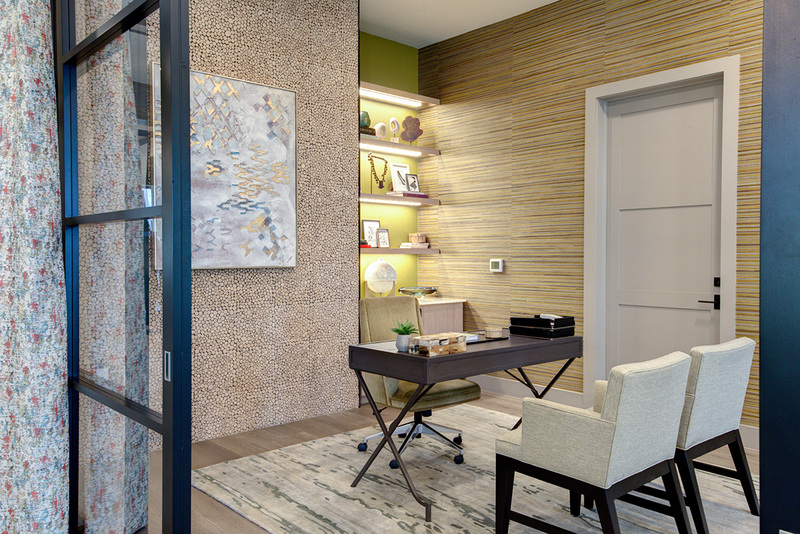 We love to integrate specialty features for media purposes (AKA the selfie wall) and simply to elevate the design with a little decorator’s jewelry as we like to call it!